Just wanted to introduce the first of many new products we are going to be unveiling in the next few weeks here at JTC Customs. This project took alot more work than initially anticipated to get up and running, but here we are! 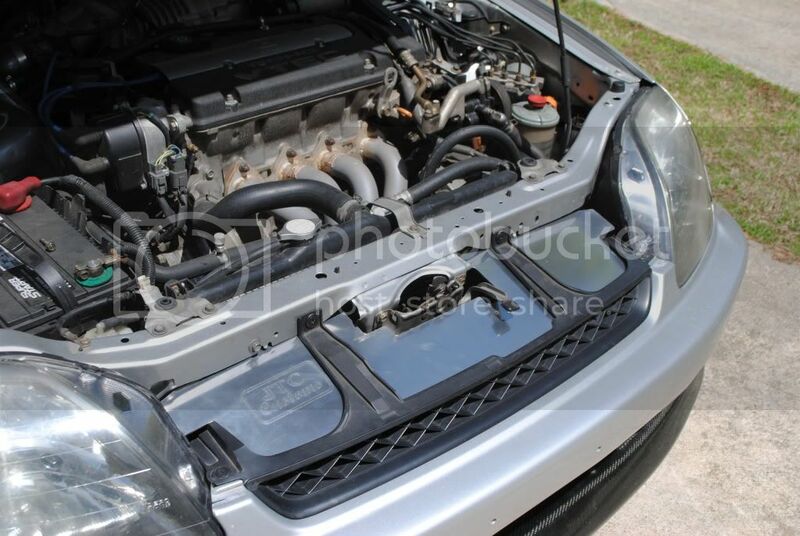 The JTC Customs 5th Gen Prelude Cooling Plate! It has been designed for both form and function. This cooling plate is designed to fit in the mini grille of the 5th gen and direct air flow straight into the radiator. 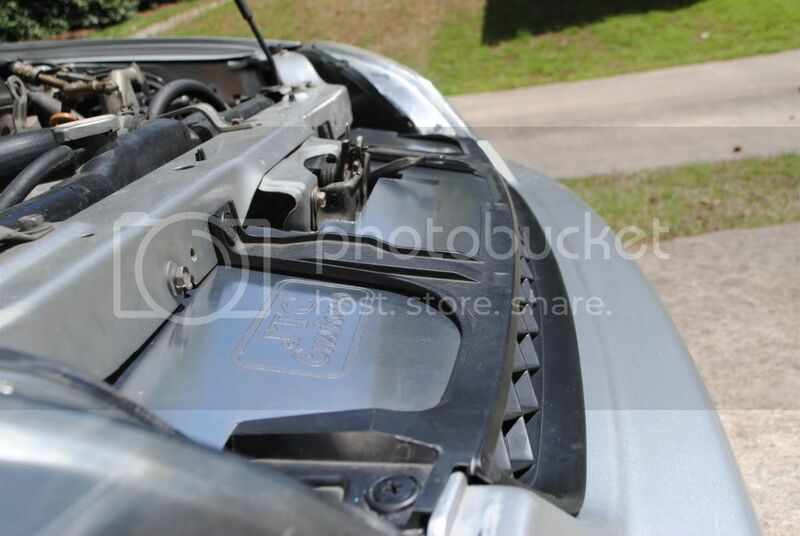 By design, it will help reduce hood wobble especially on cars with carbon fiber hoods. The plate will also help cover the unsightly gap between the front bumper and the subframe. Each Plate is CNC Cut out of 1/8” thick high strength aluminum alloy. The extra thickness provides superior strength and durability over a thin sheet metal plate. The use of the aluminum alloy provides extreme corrosion resistance along with resistance to chemicals found in the engine bay like coolant and oil. OEM hardware is used for installation. Included in our kit is a simple horn relocation kit that will help clean up the engine bay even further and relocate the horns a few inches downward. This relocation is necessary to utilize the cooling plate and is very easy to do. Let me know what you guys think and any input you have. We are very open to input and would love to hear all opinions. Last edited by lilbluelude; 03-31-2011 at 04:53 PM. Diamond Plate Aluminum - $80 + Shipping ** atleast 9 people must select this option for us to offer it. If enough people do not opt for this option, you will be notified at the end of the GB and given options (no penalties incurred). Custom Engraving -info is listed in this thread as well as pricing. This is a serious chance to make your car/cooling plate unique! This GB will last through APRIL 30 2011. We will continue to offer cooling plates via our website after that, but we will not be able to offer the special pricing on them. Simply log on to www.jtccustoms.com and check out the cooling plate from there. The pricing will be reflected on the website and you can directly order from it. If you have questions or want custom engraving done, please send us an email so that we can get everything together correctly. Shipping of the cooling plates will take place in large part towards the end of the GB dates. If you purchase earlier, it is very likely we will be able to ship out your cooling plate much sooner than the end of April. Shipping time tables will depend greatly upon the number of orders and when they are placed as we may have to purchase more raw materials and it is far more cost effective to purchase in bulk. We will be offering custom engraving for a nominal fee ($20 per section) that can fit on the right side (up to 4.5"x4.5" ) or in the center of the plate(2" x 6"). These engravings can be text or a custom logo of some sort and will be dealt with on an individual basis. The main restriction will be size and complexity. Please email us if you have any questions about the custom engraving offered or would like something done. NOTE: sizes offered may change slightly. Last edited by lilbluelude; 03-31-2011 at 04:40 PM. Hmm horn relocation you say? looks awesome, i need to start saving. We are looking into that option as a few people have mentioned it. The problem we have doing it right now is that our oven isn't nearly big enough to hold one of these. looks awesome!! count me in! looks awesome, hope to see some 5th gens with these soon! We will have better pictures tomorrow once we have the actual production unit installed. Hmm I may actually jump in on this. Hopefully you all can figure out a way to powdercoat them. I would really like a black one. At this point that will not be feasible. Within the next 6 months, we are hoping to add that option in. No promises if it will happen or when though. so when is this group buy actually going to begin? I won't be able to buy this due to mounting location.. nothing on the front end of my car lines up properly, my grill isn't even mounted to the bumper, just the frame. Got final pictures done as well as options, pricing, and everything else listed. The website is updated with accurate information. I've checked in with the only local powder coater who has a big enough oven and he wants $40 per with a minimum of 50 to even offer that price. That seems a bit more expensive than I was expecting and if enough people are interested, we can still offer it. It was much more difficult than I expected to complete and probably have 30 hours into designing and prototyping. For the price we are offering it though, I honestly doubt you can do it any cheaper and have it come out anywhere near as well. Looks Sweet! bout time some1 came out with a cooling plate for tha Ludes....wish i had some money to spend. Well... As I said the CF version is a ways down the road. No clue on how long that road is though. The price listed is the PZ discount. Our normal sale price is going to be $100. Truthfully, the price listed barely covers the material costs and supplies. I definitely want one, sent you an email on the engraving I wanted. It looks pretty sweet, and I think the price is great too... Can't wait to hear what else you guys are rolling out with!! The Final product looks way good. Well done! I saw the prototype as well, I think the changes you made are excellent. I might have to start going into work so I can pick one of these up. Hey! 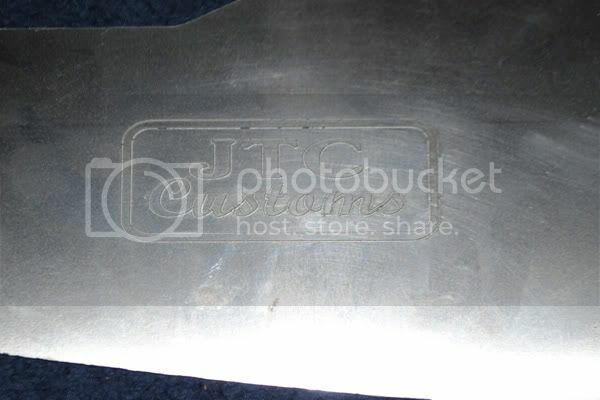 do you still make a special price for the JTC Customs 97-01 Honda Prelude Cooling Plate ? I don't think they make em anymore, I was curious and checked the site and didn't see the cooling plate anywhere.